Jeff Campbell is the winner of the 2013 Singer-Songwriter Competition! Selected out of over 13,000 contestants, we are extremely proud to host this special evening of great music. The Center of Harmony is proud to welcome Jeff to our town. Grab your friends and we look forward to sharing this evening with you! 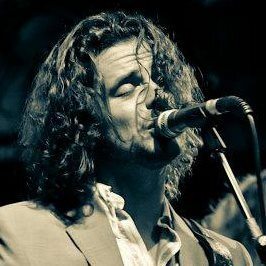 ARTIST BIO: A Philadelphia native, Campbell moved to San Francisco in 2004 specifically for the newer Rock scene he had heard was developing. After a few years of trying to balance learning the West Coast Music Scene with his day job, the job was cast aside in favor of full time touring, writing and recording for a living. Jeff’s onstage experiences have found him sharing the stage with members of Counting Crows, Phil Lesh of the Grateful Dead and opening for Grammy-winning band Train. TICKET INFO: Pre-order and save! Tickets will be $16 at the door. Children under 16 are free (must be accompanied by an adult).